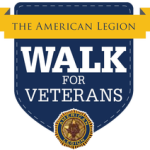 Join The American Legion National Commander and our Department of Virginia American Legion Family, as we take a 1 mile walk on the beach in support of America’s veterans, service members and their families. Your registration fee will help support The American Legion National Emergency Fund, which has provided over $8 million in disaster relief to members of the Legion Family. Registration Fee: $15.00 for adults and $10.00 for children 18 years of age and younger. 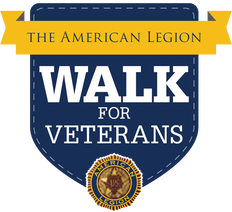 The first 100 entrants will receive an American Legion Walk for Veterans T-shirt (size of shirts are first come, first serve). All proceeds from this event will go to The American Legion National Emergency Fund. Please complete the registration form below and return with registration fee to Department Headquarters before March 4, 2016. Registration forms can be found on the Department website www.valegion.org or at your local Legion Post.